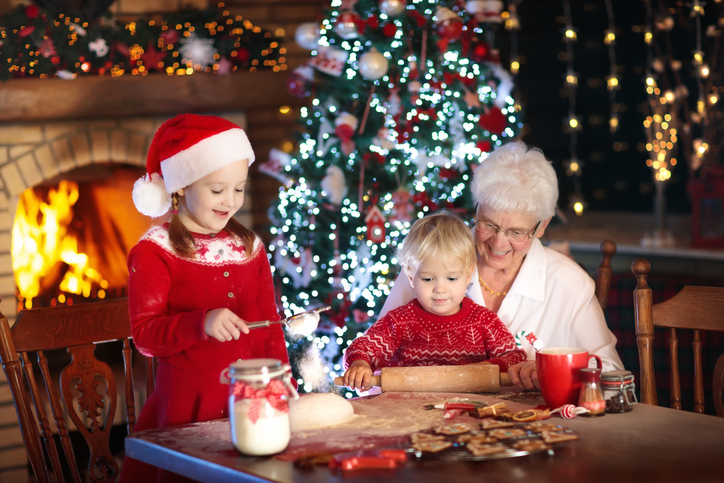 Try These Holiday Activities for Seniors with the Whole Family! It’s natural to become overwhelmed by the whirlwind of tasks that need to be taken care of during the holiday season: all of the shopping and wrapping, planning and decorating, writing and sending, visiting and baking. But in the course of the busyness, it’s also easy to lose sight of the value of slowing down enough to thoroughly enjoy the companionship of our senior family members. With a little innovative thought, holiday festivities can be fine-tuned to involve fun-filled activities for young and old, and everyone in between. Design simple holiday decorations together, such as oranges studded with cloves, paper snowflakes, construction paper chains, hand crafted ornaments, etc. Gather together to sing well-known holiday songs, and reminisce over memories these songs call to mind. Bake holiday treats like homemade cookies, in particular those the senior family member has made over the years, allowing him or her to pass the tradition on to the younger generation. Write out holiday cards or wrap gifts as a family, allowing younger children and older adults who may have trouble with these tasks to add tags, bows, stickers, etc. Enjoy an afternoon or evening watching classic holiday movies. Go out together to enjoy a holiday play or program at an area school or community center. Arrange for a game night with a holiday slant, such as holiday charades or name that holiday tune, or with classic card and board games that the older person may have played while growing up. Agree as a family on a charitable cause that means a lot to you, and work together to help, such as by collecting warm mittens for children in need, or baking homemade pet treats for the local animal shelter. Go for a drive to look at holiday lights, or walk through the mall and enjoy the holiday environment. Create a “remember when…” journal or video, with the older adult sharing his or her memories of holidays past while the younger ones record or document their experiences, draw accompanying pictures, and ask questions to find out more. You can reach our St. Louis home care professionals at your convenience by calling us at 314-432-4312 to discover more about our senior care services, to request resources related to your senior loved one’s needs, or to set up a free in-home assessment. From all of us at Compassionate Nursing Services, we wish you and yours the happiest of holidays!